Take a tour of the beautiful beaches that line the Estoril Coastline just west of Lisbon. 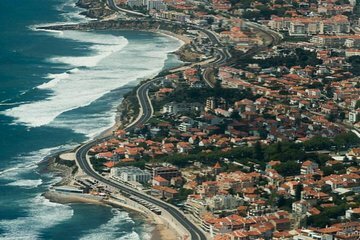 This full-day tour covers Carcavelos, Estoril, Cascais, Guincho, and all the way up to Ericeira to give visitors an overview of Portugal’s beaches. Enjoy a fresh and delicious lunch at one of these quaint beach towns and get a firsthand look at the areas where Portuguese people like to hang out in the summer.